Most cases of mesothelioma are caused by asbestos exposure. If you were exposed to asbestos at some point in the past, it may be the cause of a current mesothelioma diagnosis. Due to the long lag time between exposure and symptoms, mesothelioma is different from other forms of cancer, but you still have the opportunity to seek financial compensation. Where Will Mesothelioma Compensation Come From? 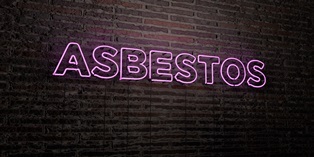 You may have a claim against the company that is responsible for your asbestos exposure. You can pursue this claim by filing a personal injury case if you’ve been diagnosed with mesothelioma or a wrongful death case if your loved one has died from the disease. Most mesothelioma cases are settled before trial. However, if a settlement cannot be reached, the case may be decided in court. Many of the companies that were responsible for asbestos exposure decades ago are no longer in business today. Thus, you can’t pursue a lawsuit against them. However, many of these companies were required to establish asbestos funds. If you have mesothelioma and you meet the criteria for compensation, you may receive money from the appropriate bankruptcy trust fund. The United States Department of Veterans Affairs (VA) has included mesothelioma as one of the medical conditions that qualifies a veteran for disability benefits. If you meet the criteria for veterans’ benefits, you may be able to receive compensation from the government for your condition. If you were exposed to asbestos on the job, you may be eligible for workers’ compensation benefits in your state. A mesothelioma recovery is not automatic, and you can expect significant opposition to your damages claim. An experienced mesothelioma lawyer can identify all of your possible sources of compensation and fight for your fair and just recovery. When you work with our legal team, you won’t have to worry about your legal strategy or whether you are leaving money on the table. Instead, you can be confident that everything possible is being done to protect your rights. To learn more, please contact us online or call our office directly at 318.588.6303 for a free consultation. You won’t pay any legal fees until your case is resolved. There are no upfront costs and no financial risks.